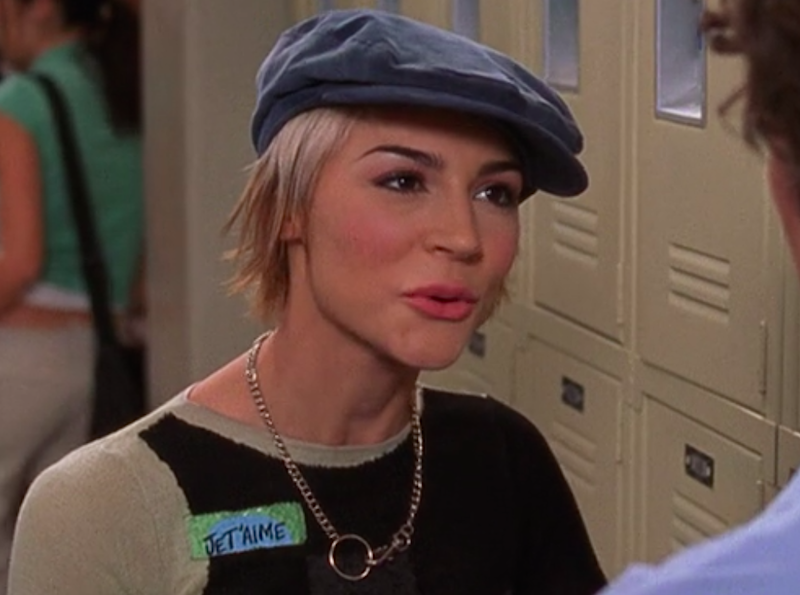 Anna Stern is the sorely underappreciated style icon of The O.C. Although she only regularly appeared in one season of The O.C., Anna Stern (Samaire Armstrong) blessed us with her quirky, bubbly presence. The showrunners originally introduced her as a false romantic lead for Seth, who we all knew was meant to be with Summer. But Anna stood on her own. She emerged as a smart and thoughtful character throughout her arc in the first season. Plus, you have to admit that her wardrobe is amazing. 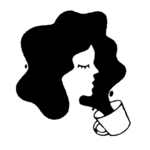 You’d see Anna rock everything from a Kermit-green sweater to a fuzzy pink newsboy cap. Her colorful, adventurous style definitely felt refreshing amidst Newport’s beachy crop top and flared pants aesthetic—though we loved that, too. Anna is adorable in the Chrismukkah episode, if I may say so myself. Here, our beloved comic book nerd rocks a black tee with a statement tulle bow. It looks punk and youthful when paired with her plaid mini skirt. Unfortunately, Seth soon pulls a Seth and breaks both her and Summer’s hearts on the best day of the year—at least the best day in the O.C. universe. Even Anna’s most casual outfits still have a pop of color. After Seth’s Chrismukkah fiasco, Anna puts on a less whimsical outfit, slapping on a gray knit zip. To give the outfit more of an “Anna” twist, she wears a fluorescent orange polo. This has to be my favorite Anna Stern look of all time. Seth’s heartbreaking Chrismukkah fiasco didn’t crush Anna, who goes from comfy-fabulous (see above) to just straight-up fabulous. 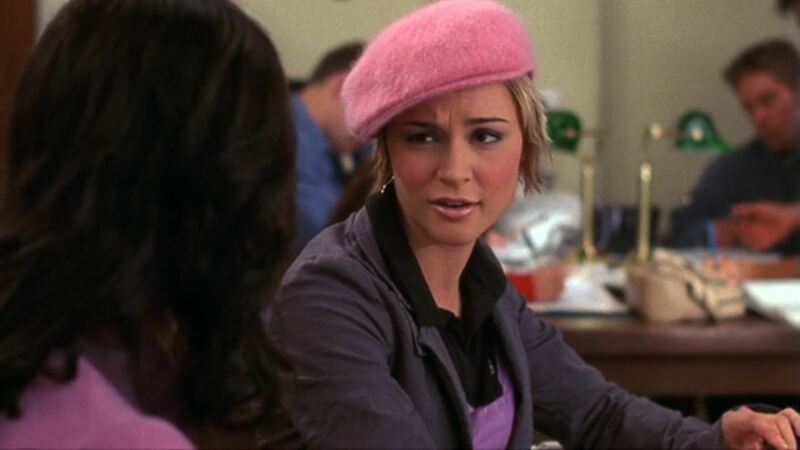 A fuzzy pink newsboy cap is not for timid, and Anna manages to wear it with confidence and sass as she develops an alliance of female solidarity with Summer. Since she’s no stranger to style, Anna wears a lovely bejeweled floral dress for homecoming. But what really makes her stand out is her chic pair of drop earrings. In most of her looks, Anna highlights her spunky personality with fun statement earrings. Both the exaggerated chandelier length of the earrings and their oversized pearl orbs deserve accolades. While going to see Rooney with the gang, Anna pairs triangle earrings with a light pink leather jacket. The look is edgy, though it still lets through Anna’s bubbly style. (Side note: Can we talk about how amazing the music on The O.C. is?) Her makeup, a glossy pink lip and a smokey eye, complements the outfit and elevates her overall look. Anna never shies away from bright colors, even when she’s participating in something as mundane as a biology dissection lab. Her vibrant green pullover contrasts nicely with the simple white collar shirt beneath it. Her small scarlet drop earrings also give us minor Christmas vibes, of course, because Anna is always full of good cheer. What kind of early-2000s show would The O.C. be without a tube top in sight? For the high school carnival (and right before she spontaneously kisses Seth), Anna gets creative with layering. Her sparkly pink tube top gives her skinny black tee extra oomph. She looks simultaneously glamorous and moody. Years after their brief relationship, Seth bumps into Anna while meandering around Brown’s campus. Now older and wiser, she sports a longer mane and a wise, laid-back demeanor. Her style is a tad more understated but still fun and bold. During their reunion, Anna is wearing a fitted, slate-blue sailor blazer jacket with white floral designs around the buttons. If The O.C. ever gets a reboot treatment, I wouldn’t be surprised if we see Anna Stern working as a fabulous fashion designer, given her amazing sartorial track record as a teenager.